We've been a Baltimore landmark since 1944, yet our mission hasn't wavered since our doors first opened. From our legendary crab cakes to our unique services such as personal shopping and delivery, we strive to exceed your expectations, every day. You'll see our proud heritage in everything Eddie's has to offer. 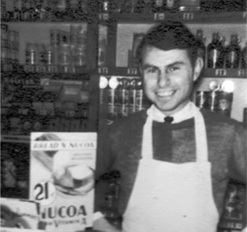 Victor Cohen opened the original "Victor’s" market in 1944 with the philosophy of providing shoppers the very finest products available, along with excellent service and attention to detail. So who is Eddie? In 1954, Victor joined a buying and advertising cooperative that was formed by Eddie Levy. 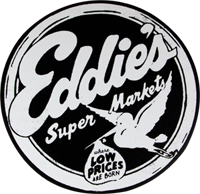 Some time later, the cooperative dissolved, but the name "Eddie’s" stuck. In the early ‘80s, we distinguished ourselves from those other stores as "Eddie’s of Roland Park." We also distinguished ourselves with our signature crab soup and crab cakes, and with turkeys and roast beef roasting in the kitchen for our busy customers. Prepared foods from a grocery store was a brand-new concept in those days, and that was the origin of our very popular Gourmet to Go department. 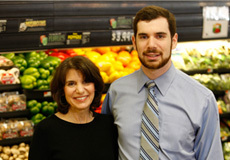 In 1992 Victor's daughter, Nancy Cohen, opened the second and larger Eddie’s of Roland Park location in Baltimore County, on the site of the former Acme Supermarket, a perfect complement to our smaller sister store in the city. In 2012 we celebrated 20 years on North Charles Street, and in 2015 we gave that store a complete remodel. Today, Nancy Cohen, and her sons, Michael Schaffer and Andrew Schaffer, carry on the proud tradition established by Victor so many years ago.